This week it has come to one of our beloved cats and our broadband router. Each case bringing it’s own particular suspension of time and normal activity; one through tears, reminiscence and digging; the other tortuous trouble-shooting and inaccessible e-mails. Black hooded, scythe in hand, one skeletal finger pointed accusingly at the salmon mousse, the medieval European reaper has pretty much eclipsed all other psycopomps, those who guide our souls to their final resting place. Valkyries and angels occasionally wing their chosen ones away to a blessed afterlife but consensus of popular culture (the very definition of folk-tale) is that our last breath will be harvested by a cloak full of bones with a voice like tombstones and a good line in dry humour. But where will Mr. Grim take us? Let me transport you across time and space to the shores of ancient Japan which, Shinto myths tell us, were brought into manifestation from primordial chaos by Izanami and Izanagi before they too took physical form and stepped down from the high heavens. These divine lovers then populated the world with the spirits of earth, wind, mountains, trees, and so on until, whilst giving birth to the spirit of fire, Izanami was burnt sufficiently badly to cause the first death in their new world and retired to Yomi, the land of the dead. Izanagi, bereft without his dear wife, heads to the underworld to bring her back. At the back door of the mansion of the dead he speaks with Izanami who explains that she may not be allowed to return as she has eaten the food of Yomi, but she will speak with the divine spirits in charge. She solicits assurance that Izanagi will wait outside and not attempt to look at her. After waiting for a day, Izanagi gets bored and goes searching through the mansion for her using a tooth from his comb as a torch. Eventually he finds his beloved but is horrified by her decaying, maggot ridden corpse. She is deeply angered by his betrayal and sets the Hags Of Yomi, several thunder spirits and a thousand dead warriors on him. After an exciting chase, Izanagi reaches the land of light and blocks the exit with a big bolder, thus ensuring that the dead stay down there, and the enraged Izanami becomes their goddess. 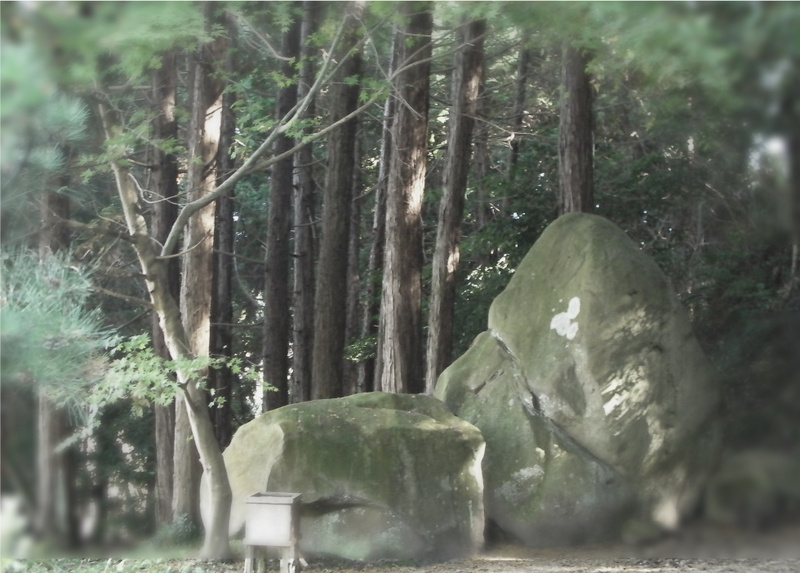 The actual physical place, with the actual physical rock that blocks the exit of Yomi. Seriously, you can go there. My reason for telling you this tale is that it neatly illustrates a peculiarity which is common to the great majority of mythologies. whilst there is much detail of the creation of all that is above ground no mention is made of the creation of an underworld; yet, when Izanami becomes the first dead being ever, Yomi is already in existence, fully functional, complete with staff, hosts of dead warriors and hags. It seems that no action is needed on the part of the progenitors: the underworld simply appears spontaneously in response to the existence of the world above. In most cases these underworlds accommodate both good and bad where the former live in bliss, reunited with their dearest while the latter have to wade in rivers of spears and get eaten by snakes. Going up to live with the Gods above appears to have been added later as an exclusive option for the elite. The conditions for a beatific winged courier to carry one’s soul in to the sky are generally pretty stringent, however, the tickets to the eternal re-union parties of the various underworlds are simply attained by not stealing or committing murder and generally being kind. So when the day comes, as certainly it will, and you feel a bony digit tap you on the shoulder, and you are somewhat behind on slitting the throats of goats whilst telling your chosen deity how fab they are, do not despair, all may yet be blissful. I look forward to seeing our little tortoiseshell kitty again. The router I’m less fussed about.